The Brotherhobby Speed Shield V2 2207.5 Motor is your next big step in FPV Racing. The Speed Shield V2 has notably changed the bell from a two-piece design to a single piece bell. The Brotherhobby Speed Shield V2 2207.5 Motor is your next big step in FPV Racing. The Speed Shield V2 has notably changed the bell from a two-piece design to a single piece bell. 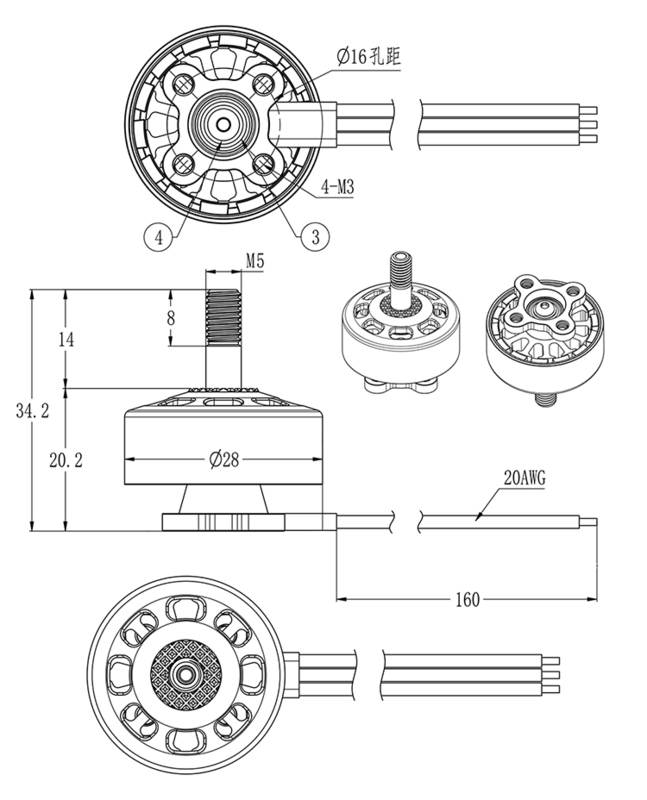 The high-quality single piece bell increases the overall durability of the motor. The top of the bell also has had prop grip added to prevent slippage between the propeller and the motor. All of those changes plus a new color scheme mean the Speed Shield V2 is ready to take your FPV racing experience to the next level!